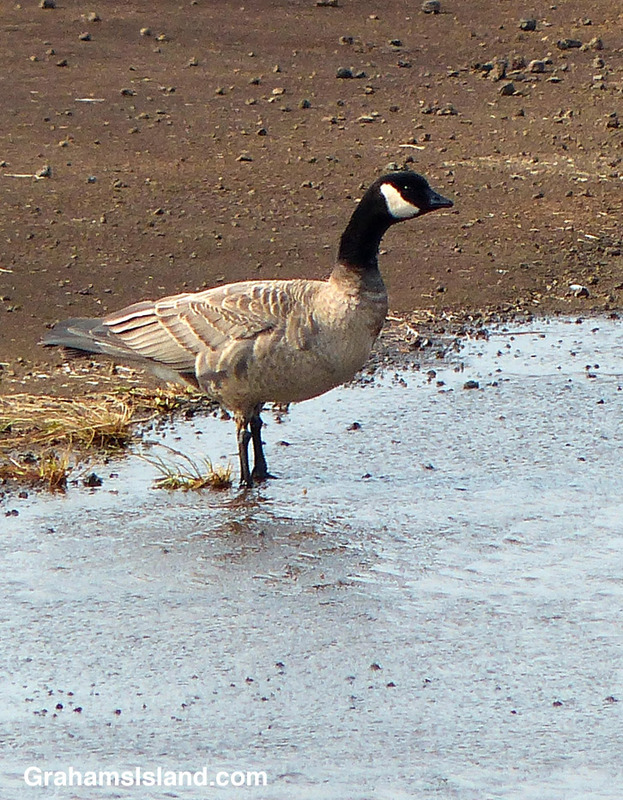 A cackling goose is similar in appearance to a Canada goose, but much smaller and with a shorter beak. 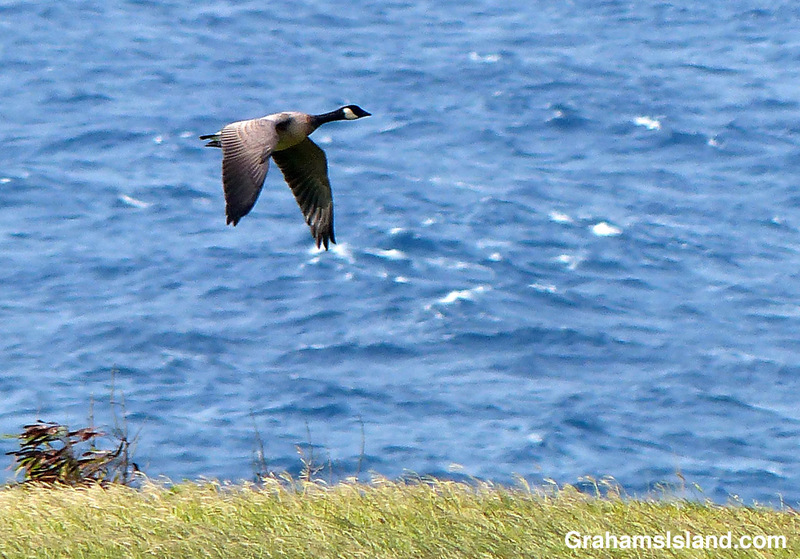 Both are rare visitors to Hawaii. This cackling goose was taking a drink of water from a puddle at Upolu airport until a couple of mynah birds started harassing it. Then it took off and headed east, into a strong wind.